Here’s one for the vegetarians. A 13 inch plait of water hyacinth. It has a lovely silky feel to the fibre but packs a punch as a strap. Beautifully evil in its simplicity. 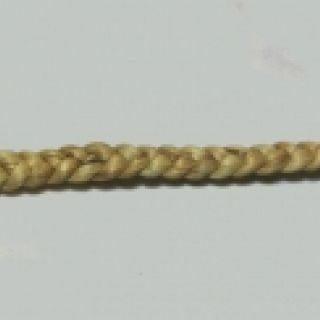 The ends are clear dipped to reduce fraying. 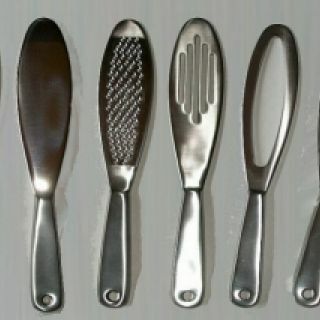 Set of six stainless steel paddles for the price of five! The set consists of one mirrored, one slotted, one holed, one oval, one abrasive and one spiked. Ideal gift for that someone special. 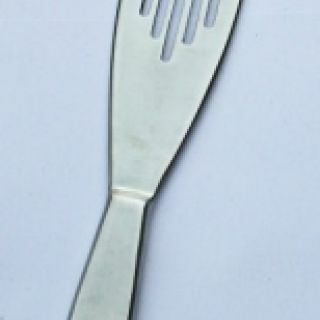 Based on the premise that less is more, this satin steel spiked paddle has 10 well spaced spikes. 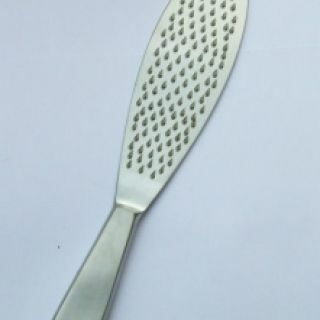 The spikes are short and wide but are also very sharp and designed to puncture the skin. 12” overall length. 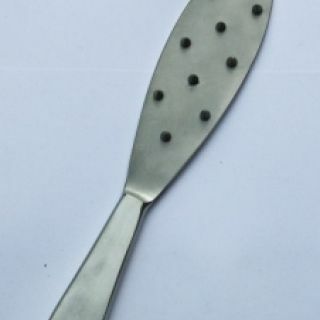 The myriad of small hooked spikes are individually formed by hand on this unique satin steel paddle. They graze the skin more than pierce it. 12” overall length. 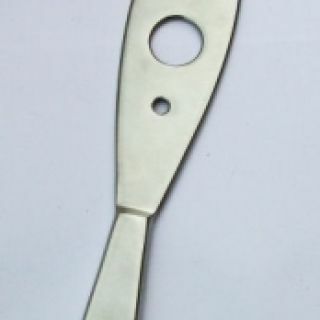 A traditional holed paddle in satin steel. The holes along the length of the paddle dissipate the air cushion for a firmer impact. 12” overall length. A new take on the traditionally holed paddle. 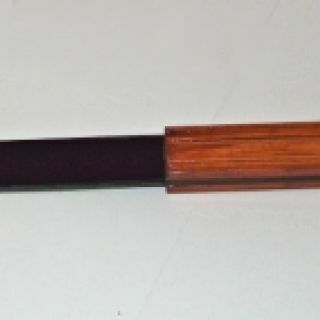 The vertical slots force the air through the top half of the paddle for a more localised sting. 12” overall length. 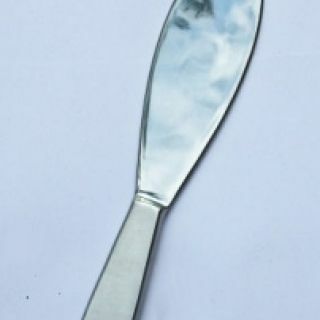 A beautiful satin steel paddle with one face polished to a high quality mirror finish. It is particularly delightful on moist skin. 12” overall length. 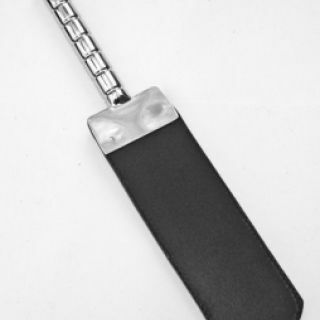 Our own design which combines the beauty of shiny stainless steel with the luxury of leather.9mm stitched leather in a beautifully crafted stainless steel handle. 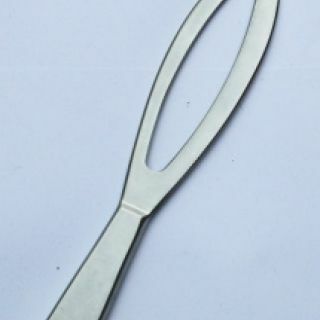 Overall length 350mm, width 70mm.